Finding a great drugstore brand is like finding hidden treasure. The choices are overwhelming and sometimes the quality isn't even close to worth the price. I find I am in Shoppers Drug Mart at least once a week because there is one right across the street from the school I teach at. I have always noticed the Quo brand, but never tried it-until now. Why oh why, did I wait this long? 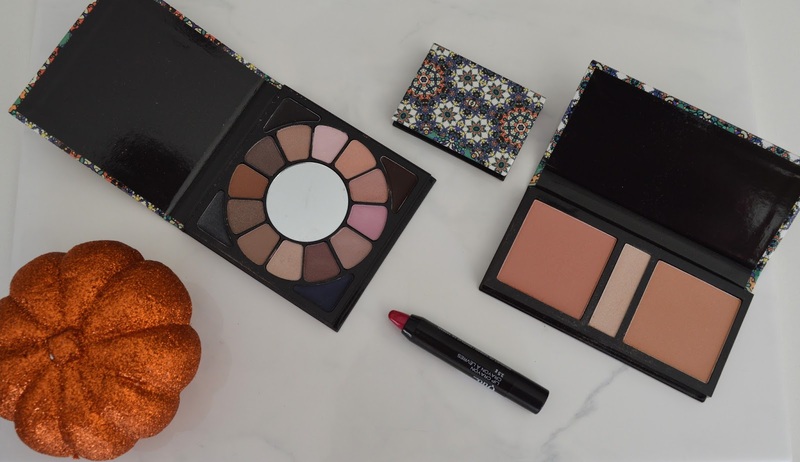 The four products you can see below are all part of the Quo fall release and I am obsessed. 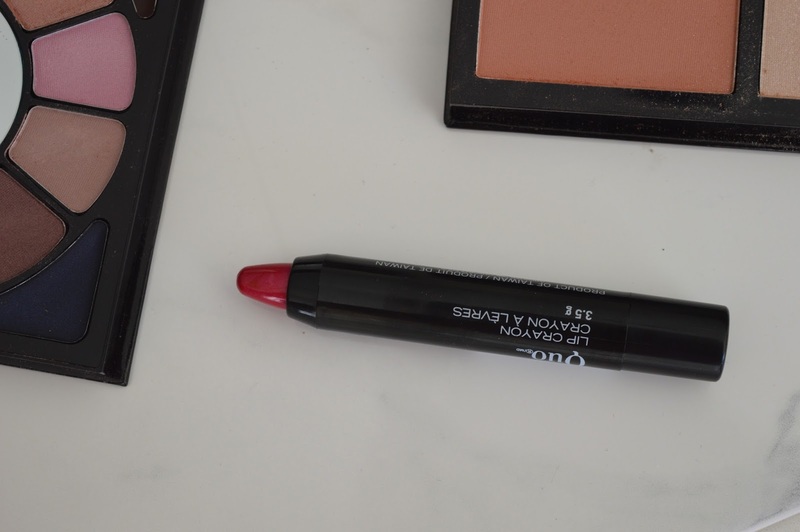 The Fall 2015 collection by Quo offers a duo brow wow, an eye shadow and liner palette (in sweet or aubergine), a face palette (in adorn or escape) and lip crayon in four colours. 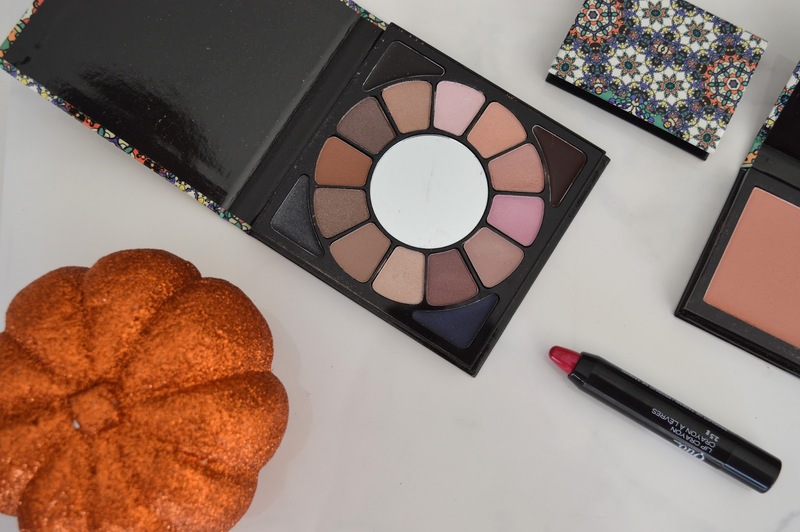 The best part is that each item is under $20 (yes even the eye palette). The lip crayon in the picture below is a red/purple tone and I was shocked by how much I love it. The colour stays on longer than I expect as the crayon sort of stained my lips. The eye shadow and liner palette includes twelve shadows and four liners. The shadow colours in the Sweet palette are easy to use, blend well, and are the perfect neutral tones. The liners are best applied with a liner brush, I like to wet mine a bit first. The colour choices are gorgeous and last all day. For $18 this is a must have buy! 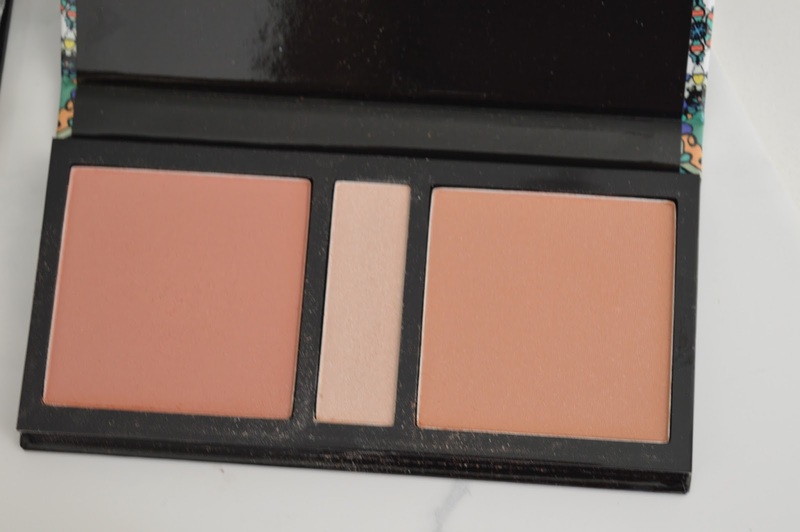 The face palette contains a bronzer, blush and highlighter. This palette is the Escape and I would love to try the colours in Adorn as I think I may love them even more. The colours blend nicely and this palette would be be great for someone with lighter skin. The packaging is some of the nicest I have come across. The mosaic tile effect is stunning. 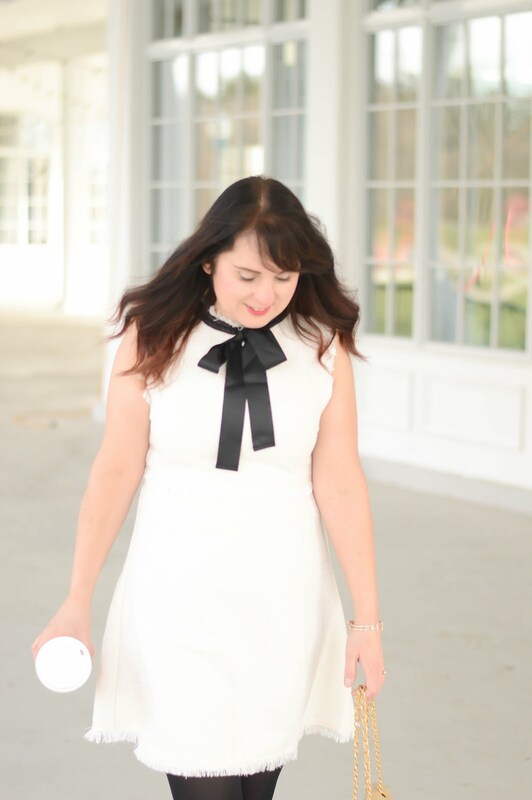 Let's review the Quo Collection. Head to your local Shoppers Drug Mart right now to pick up these amazing finds!